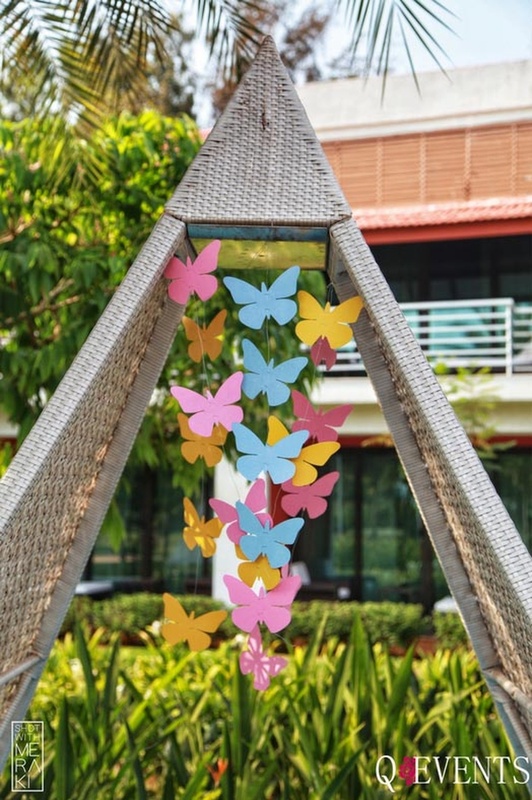 This Planet Hollywood Goa wedding's bride planned her own wedding with the coolest decor ideas! The couple met over 15 years ago, Prateek being 2 years senior to Damini in college. They stayed acquainances for the longest time, both moving to different cities and directions in life. "Over the next few years,each of us dated other people and remained in each other's lives as friends. We met 5 years ago in Pune, where i was engaged. 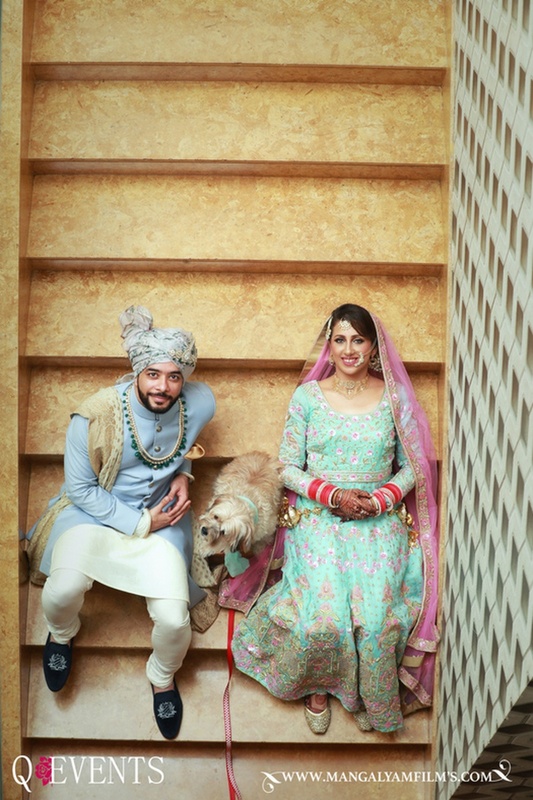 When i broke that engagement, Prateek offered a trip to Mussoorie, which i took up seriously." remembers Damini. 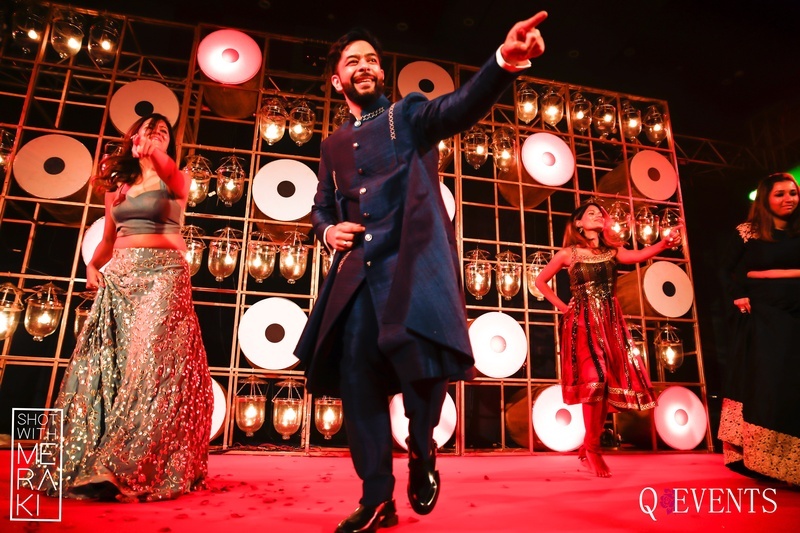 Prateek quips "They were the most beautiful 3 days of my life. We walked, spent time with each other and then promptly went back to our own cities. A week later, i called her up and as they say, the rest is history!". 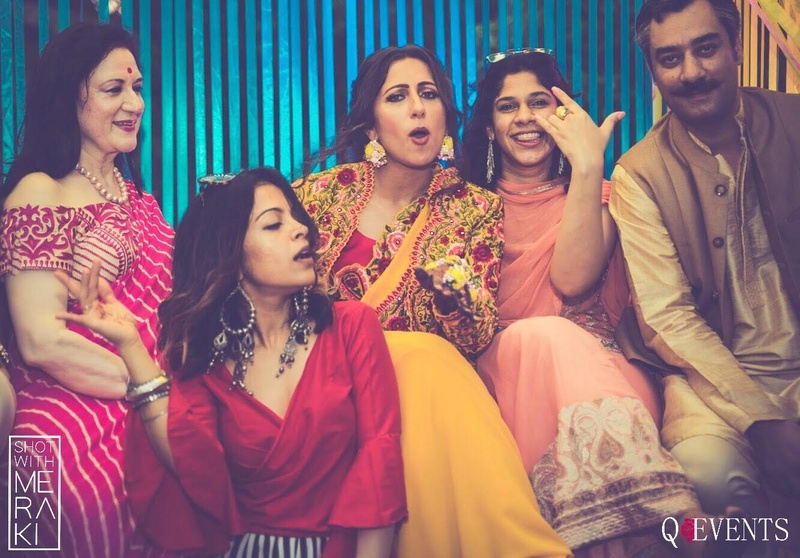 It was when Damini visited Udaipur, the land of destination weddings, that Prateek popped the question. 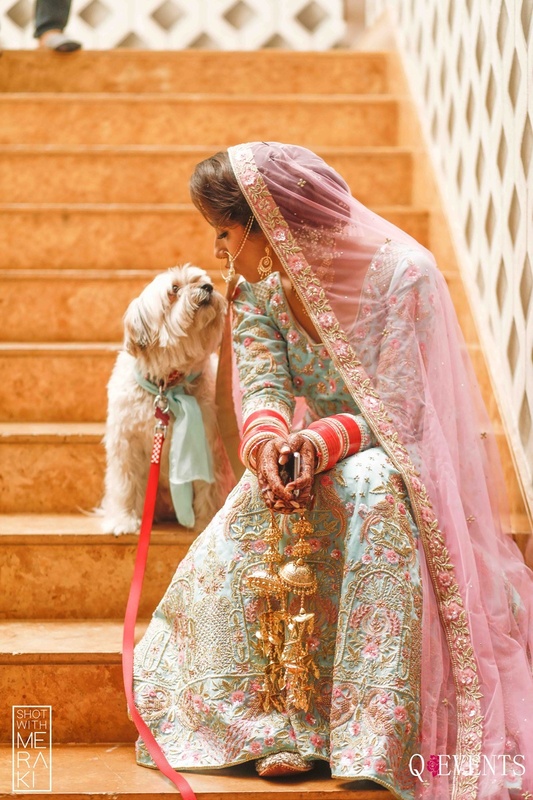 From there on, a little girl's dreams of a wedding, came true! 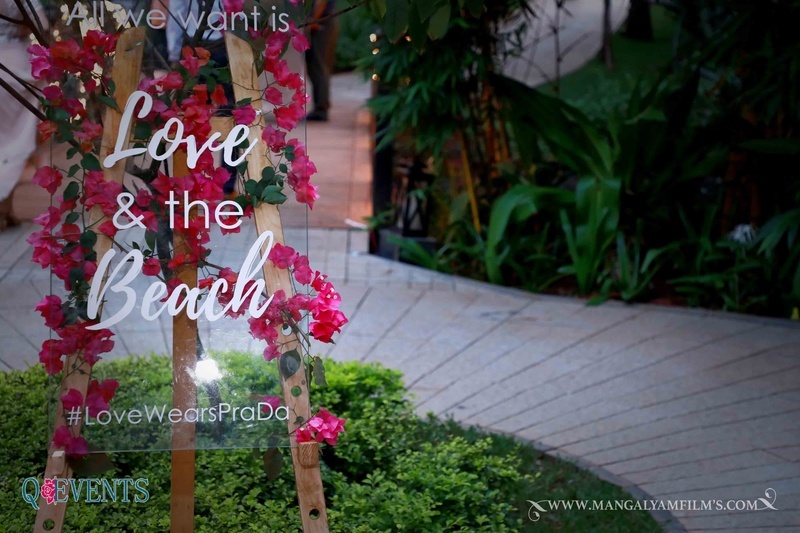 Damini and Prateek always dreamed of a destination wedding, and being in love with Goa, they had to choose it as a venue. 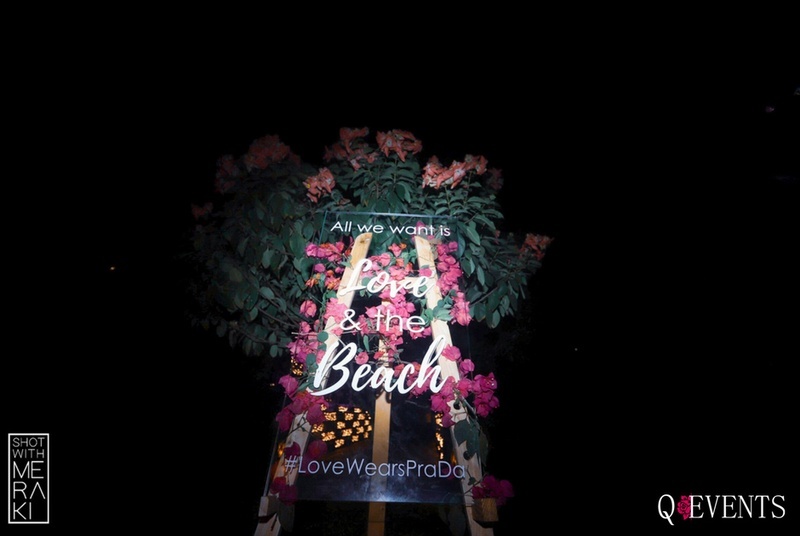 "From the serenity of the beach, to the luxury of technology, our wedding at Planet Hollywood, Goa was a must. We wanted a venue that could be traditional as well as quirky for our wedding. 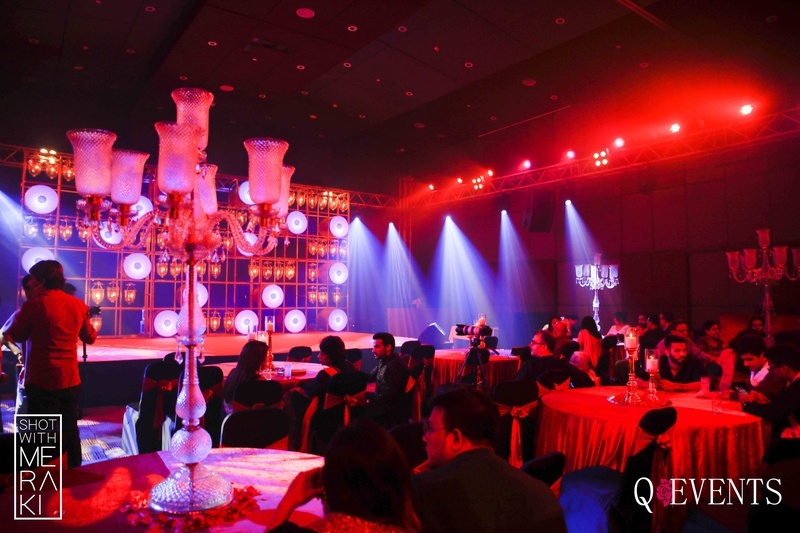 Planet Hollywood provided all that and more"
Damini is a planner herself by profession. 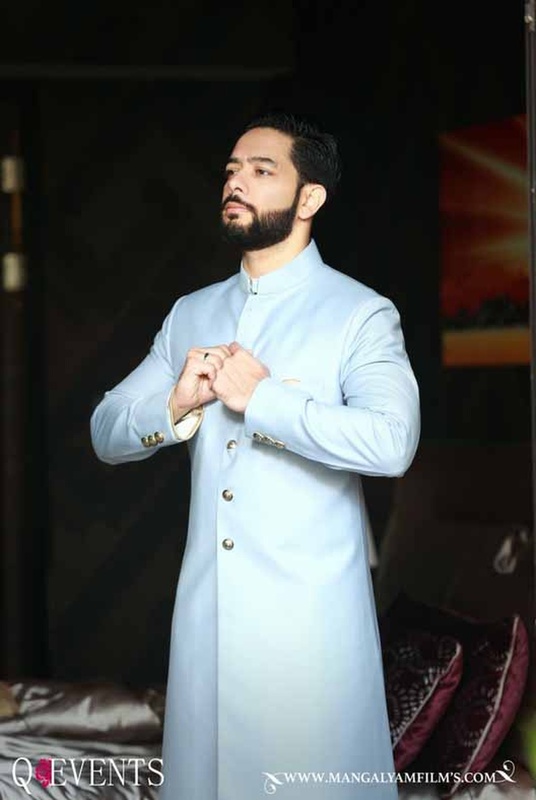 owner of QEvents. When it came to planning her own wedding, she was over the moon! She says, "Well, it was a wedding planner's wedding & so planning it had me under a lot of pressure. 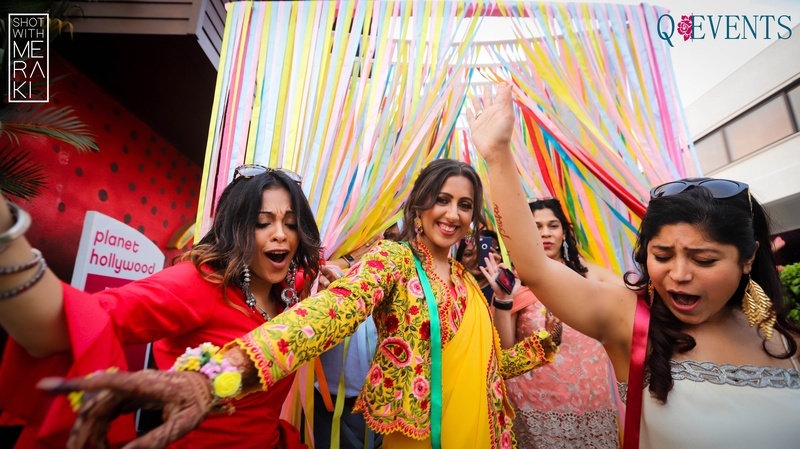 It would have to be a trendy wedding as everyone would be judging how a wedding planner planned her own wedding. Also, sometimes, knowing too much is also a problem because you have so many options in front of you that it gets difficult to choose what theme or what decor to do at which function. But I have been extremely lucky to have had an amazing team that took my tantrums & gave me everything I could have asked for. I put them under a lot of pressure too, with all my designs & time lines. 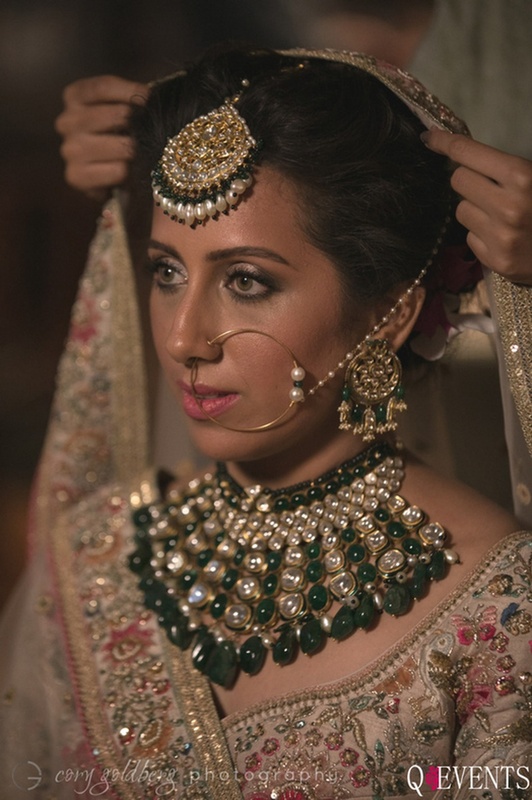 I wanted everything to be perfect so it could be an example / showcase to everyone and at the same time I had to keep in mind budgets & what my fiance liked." 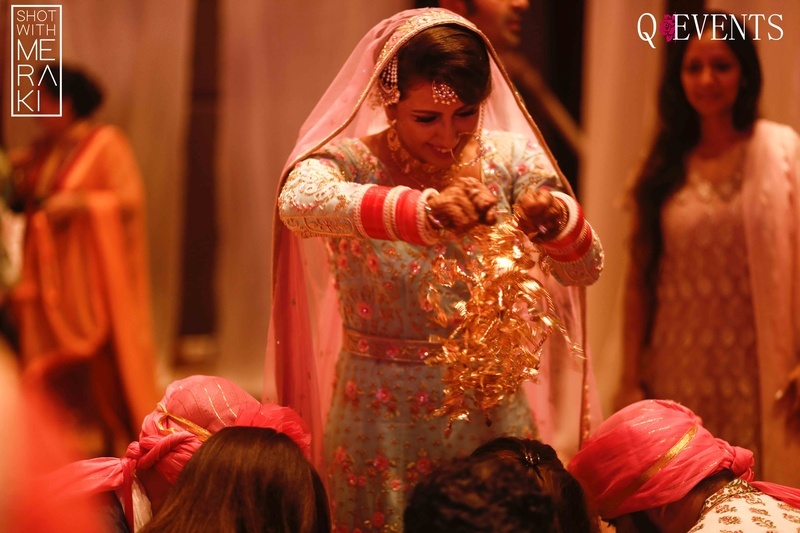 Being a wedding planner herself, Damini wanted to try out newer ideas for each event. 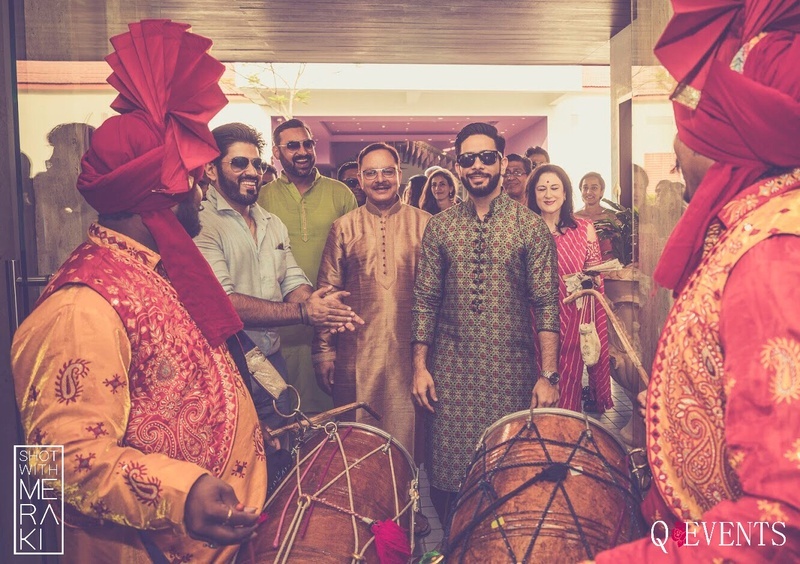 "The mehndi ceremony is the function where cool and unique ideas can be tried out. That's why I introduced the theme of Origami to my mehndi!" says the bride. 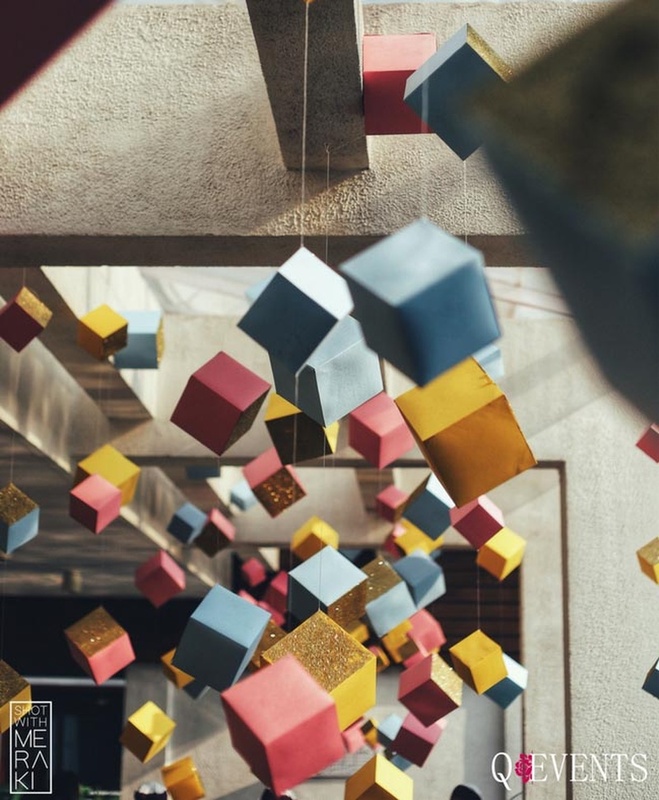 Ceilings and photo spots were filled with hanging paper origami figures of different colors, adding a multi-color and unique vibe to the whole ceremony! 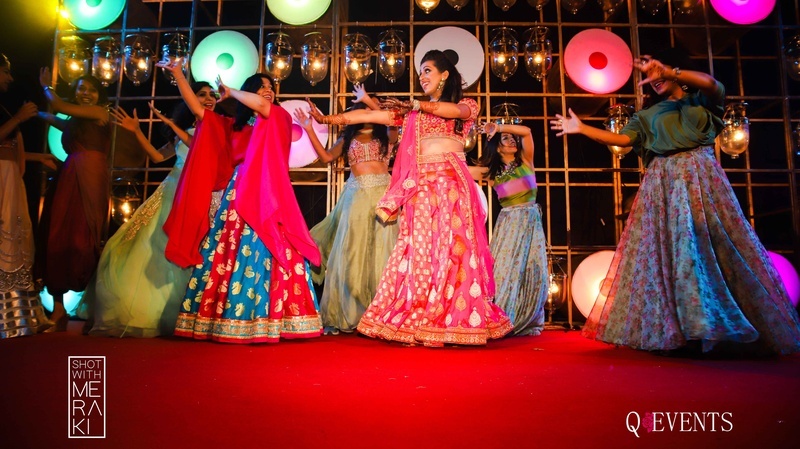 "I always wanted my Sangeet to have an extremely royal touch. 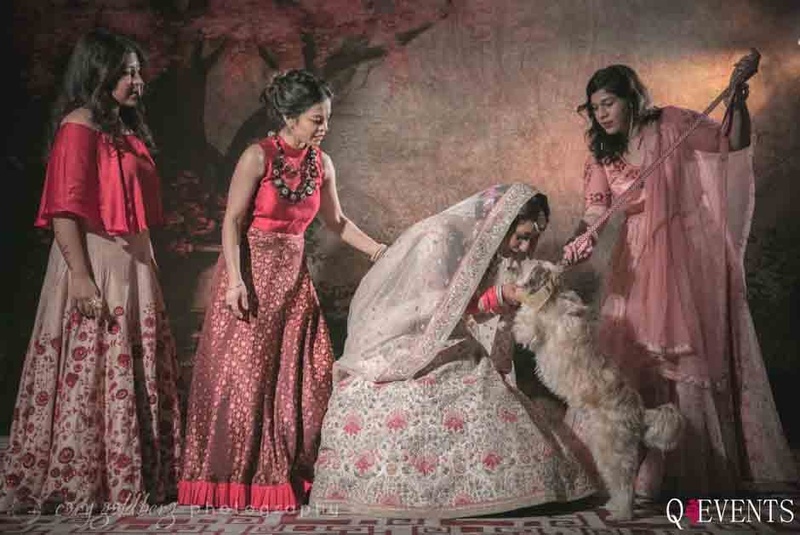 That's why the colors are very rich, the lighting very dim and the feel very palace-like" says Damini. 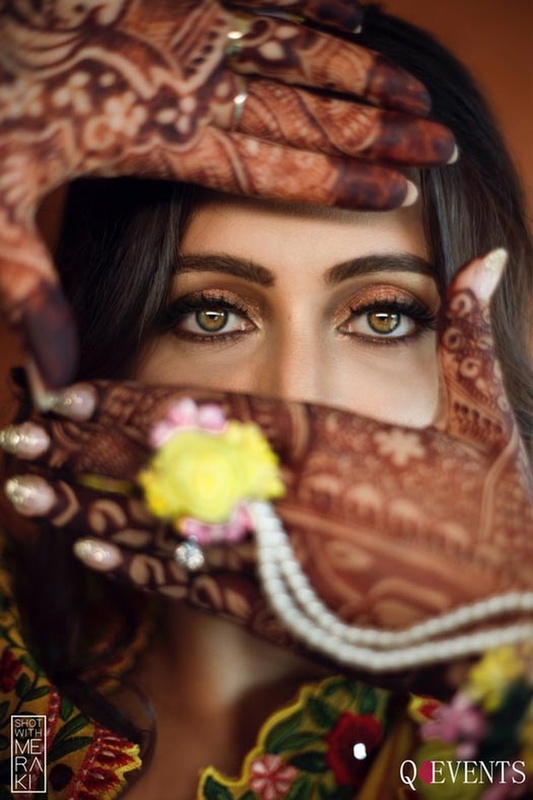 Well, we for one loved the way she chose Arabic style candlebras, rich fabrics such as satin and hanging chandeliers and lamps to light up the place. 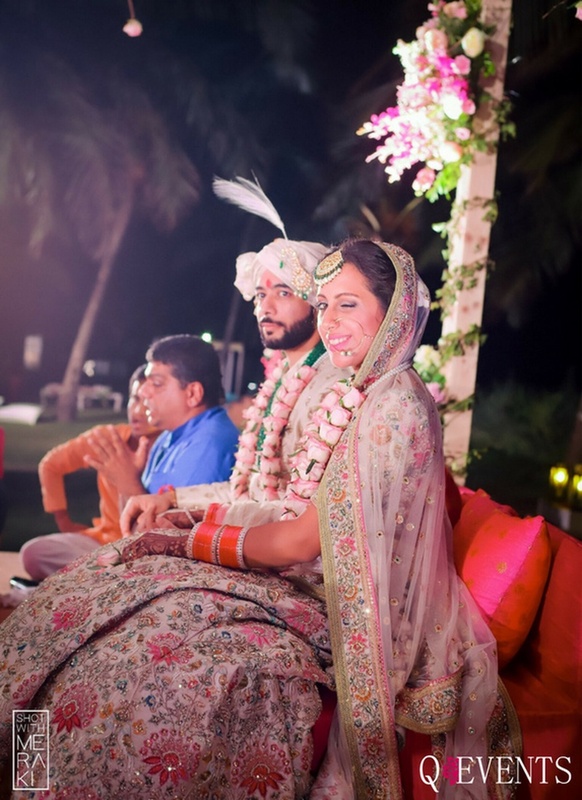 Even Damini and Prateek themselves dressed like royalty, befitting the bride and groom! 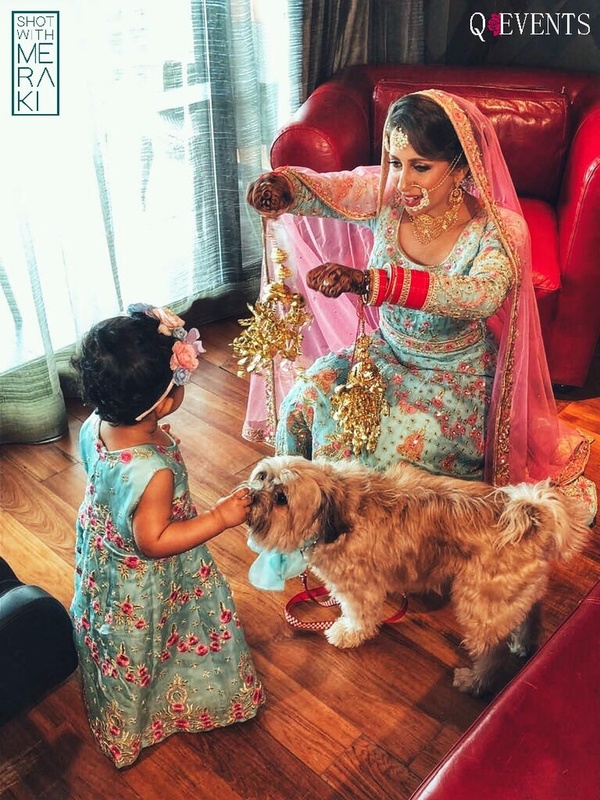 Like any planner who loves their work, Damini is in love with florals, especially using florals in a new and different way. 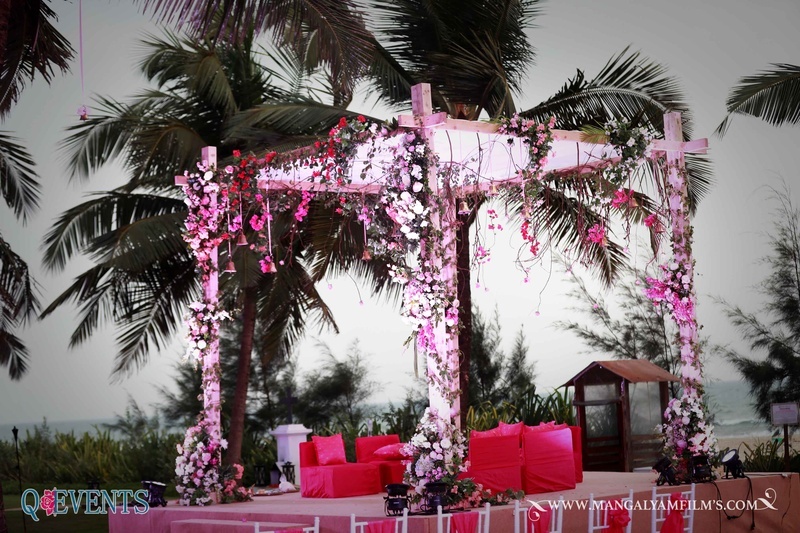 That's why for the wedding, Damini chose the theme of "The Pink Serenity" for the elegant Sikh Wedding. 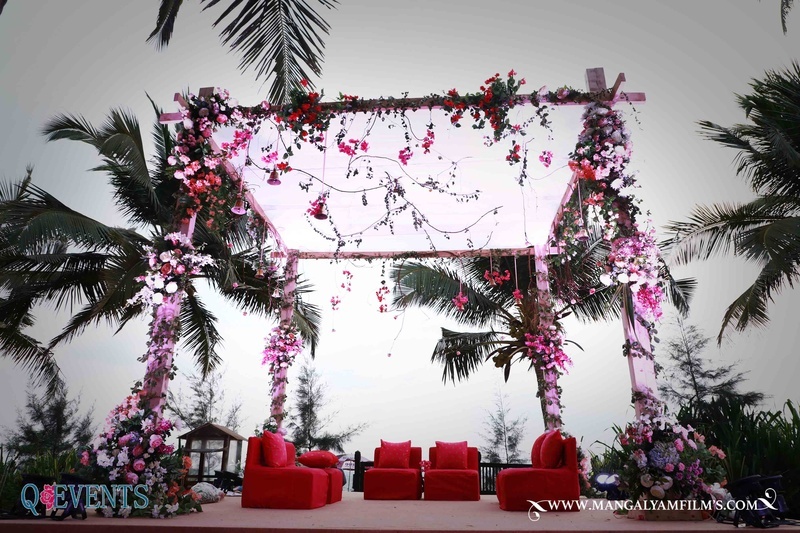 For the Anand Karaj, the mandap was set up by the beach, lending an atmosphere to Damini's "Rustic and Floral" theme! 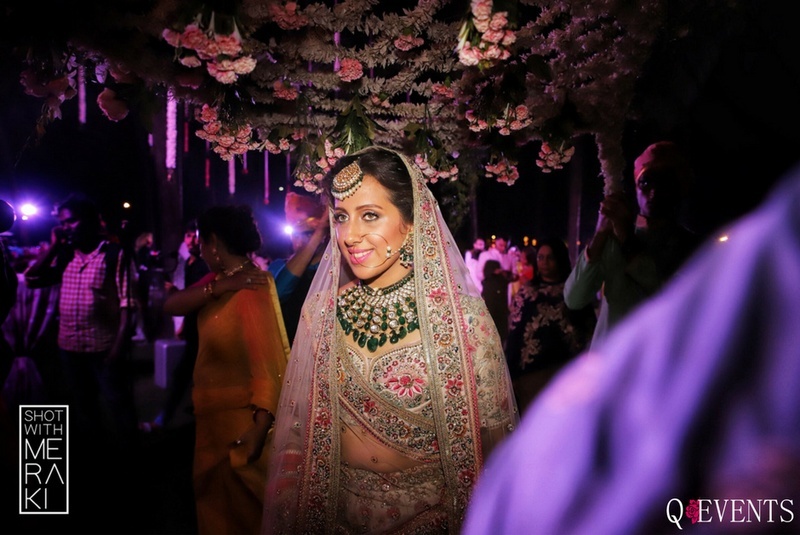 Talking about the decor and the mandap, she says, " The mandap at my wedding was over-wrought with the cutest pastel flowers and vines, creating the perfect combination between pretty and raw."